!! 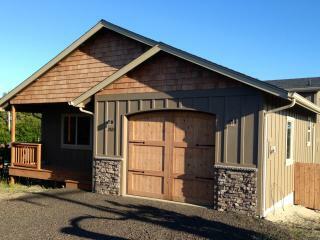 !Custom Designed, NEW house with POOL access!!! 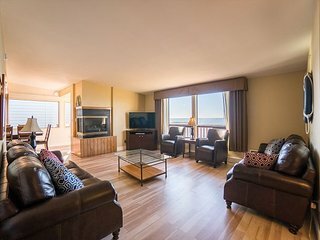 Family friendly condo w/ partial ocean views & shared pool/sauna! 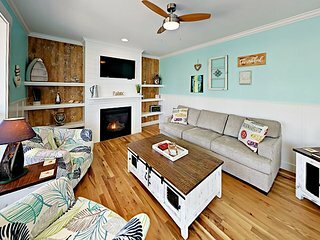 Beautiful, family-friendly house near beach access w/shared pool, gym, & more! 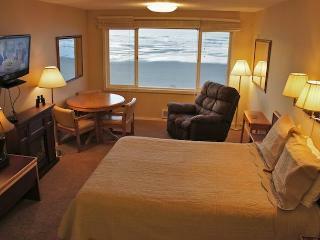 Sea For Two - Corner Oceanfront Condo, Hot Tub, Pool, Wifi & More! 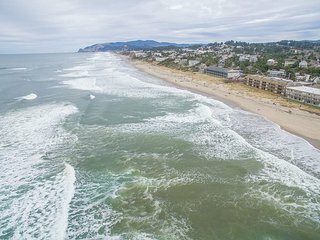 Condo in oceanfront building w/shared pool & sauna - walk to the beach, dogs OK! 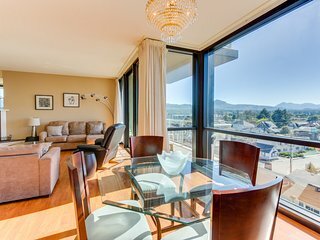 Dog-friendly condo with beautiful views, cozy fireplace, and shared pool! 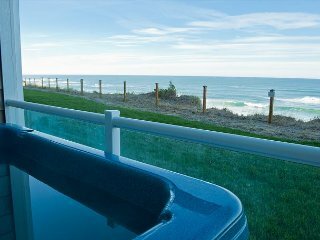 Sea To Believe - Oceanfront Condo, Private Hot Tub, Indoor Pool, Wifi & More! 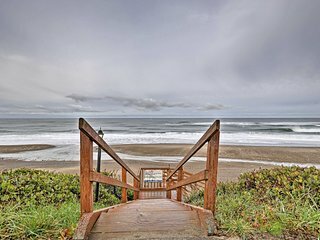 Enjoy this oceanfront top floor condo in the heart of Newport's Nye District! 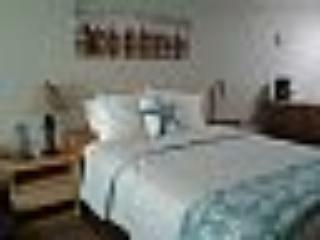 Sea Gypsy-Better on the Beach Ocean Front Condo.!! 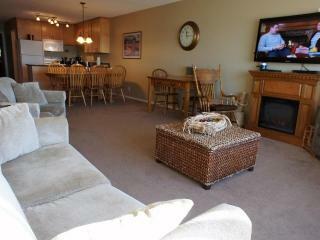 Oceanfront home in the heart of Newport perfect for a couple or small family! 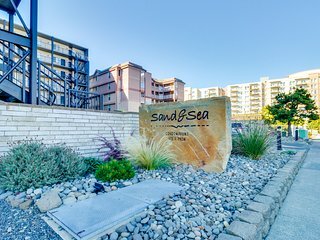 Beautiful contemporary condo w/ ocean views, shared pool, & sauna at Sand & Sea! 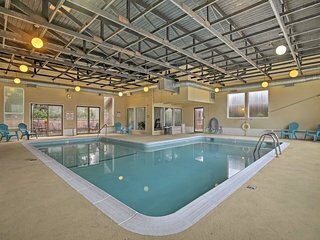 Play golf, then relax at the shared pool and hot tub at this ocean view condo! 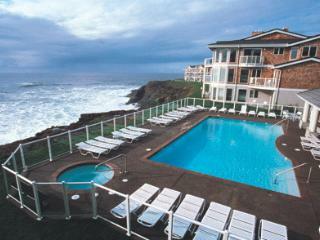 Large ocean-front home located in Depoe Bay with the amenities of a resort! 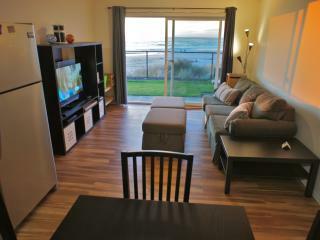 Family friendly condo w/ ocean views & shared pool, sauna access! Dogs welcome! 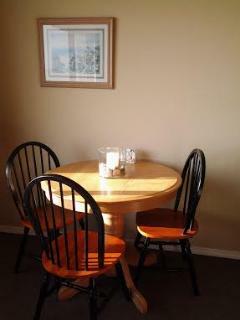 “Perfect for our family!” Had everything we needed and more. 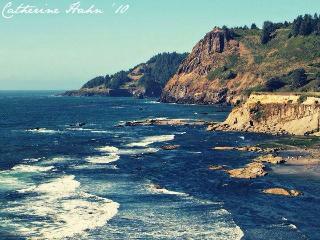 Loved the view and sound of the ocean. The pool was wonderful for my four and six year old. Need a new mattress in bedroom. 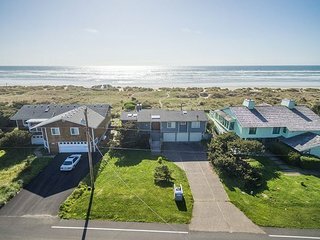 Discover Daly’s oceanfront 3 bedroom beach house w/ hot tub in Waldport! NEW! 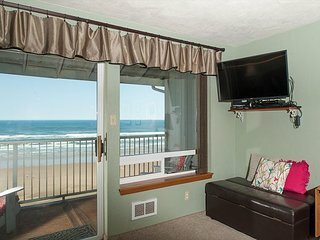 2BR Lincoln City Condo w/Patio & Ocean Views! 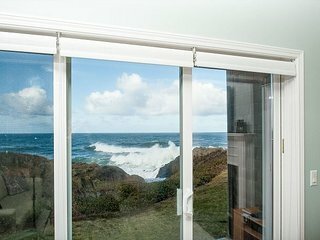 Family friendly condo w/partial Ocean view! Kitchen & modern decor! Pool access! 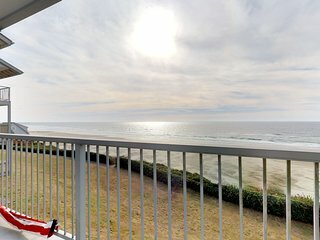 Condo with partial ocean views and shared pool and sauna! 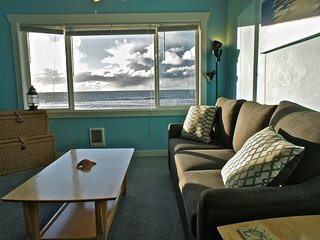 Visit the Coast in this Ocean-view Condo in Lincoln City sleeping up to 5! 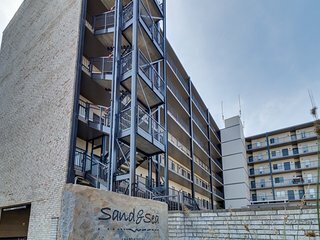 Homey oceanfront Sand & Sea condo ! 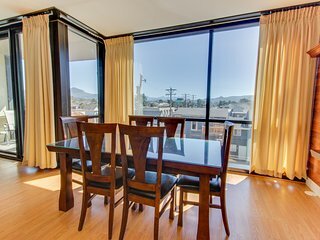 Balcony w/views, shared pool & sauna access! 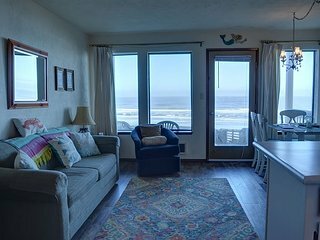 Dog-friendly home with ocean views, easy beach and bay access & a shared pool! 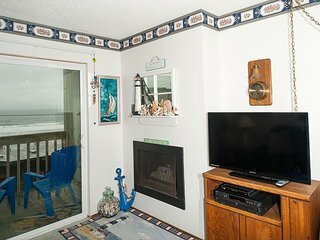 Return of the Jetty - Cozy condo with fireplace!